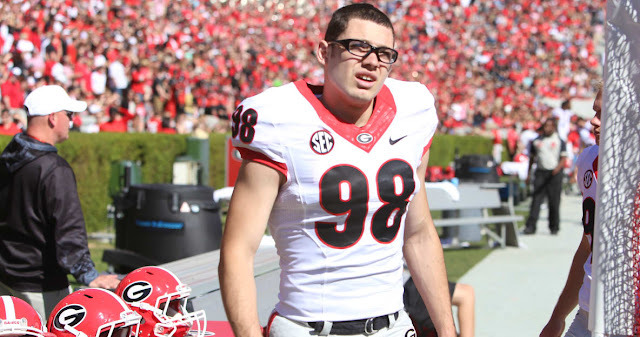 Shirts With Random Triangles: Georgia places kicker Rodrigo Blankenship on scholarship. Blankenship announced to his teammates that he had earned his scholarship following the Dawgs' victory over Notre Dame on Saturday night. How do you make a great night even better? Here's how. Blankenship scored the game-winning touchdown for Georgia in the 20-19 victory over Notre Dame.